Flip a coin. If heads or tails, the opposing pokemom is now dead. Flip a coin. 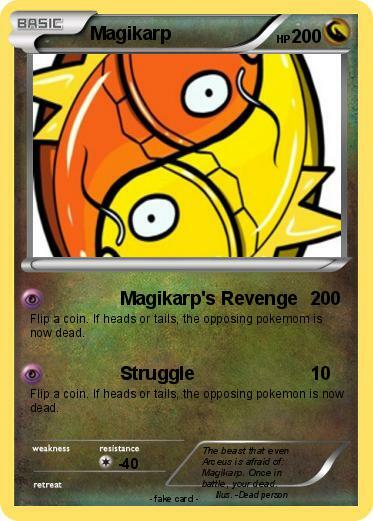 If heads or tails, the opposing pokemon is now dead. Comments : The beast that even Arceus is afraid of: Magikarp. Once in battle, your dead.